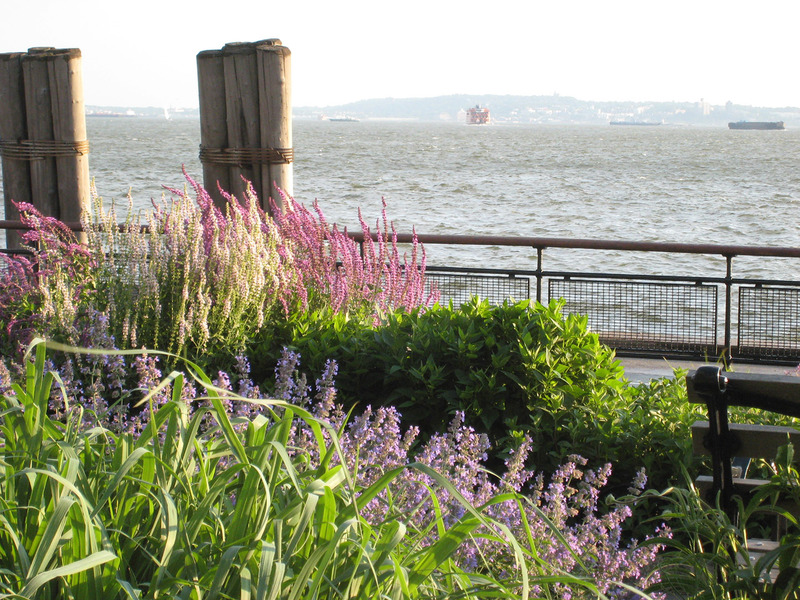 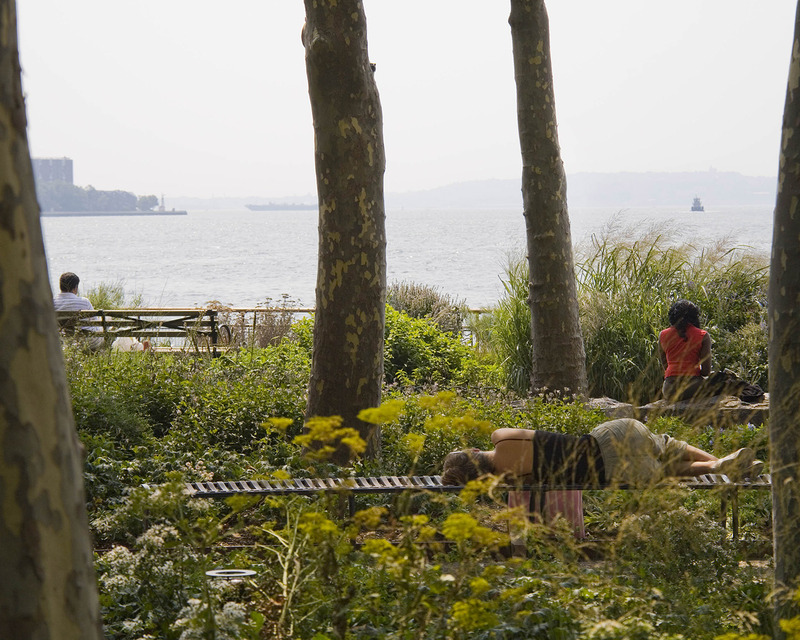 One of the first Battery landscapes to be renovated, the Bosque sets the vocabulary and character for the rest of the park—a meditation on the natural abundance that first drew the Lenape and later the Dutch to this small island at the mouth of the Hudson. 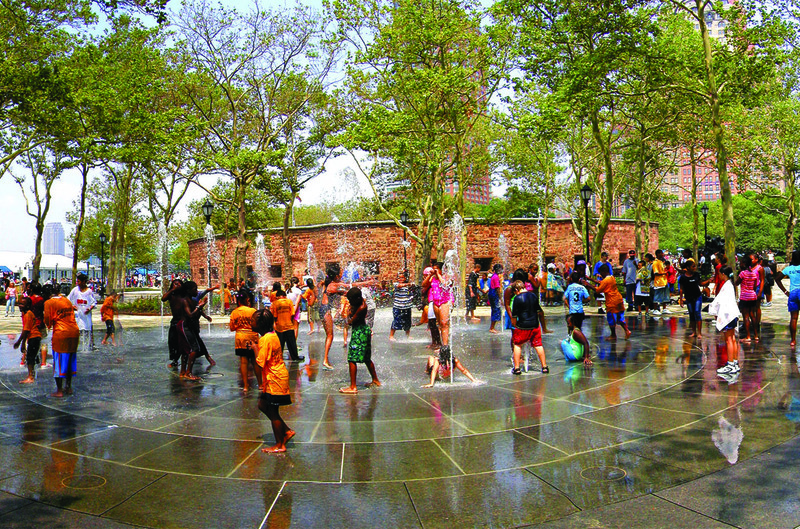 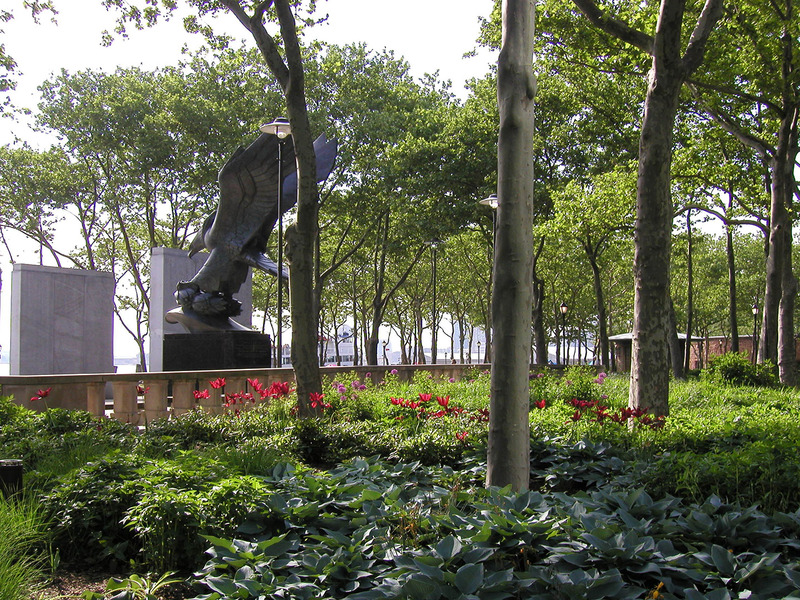 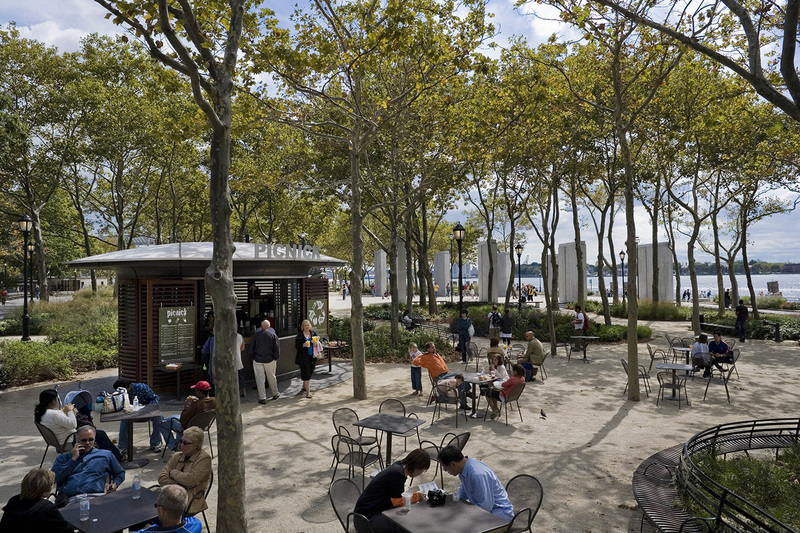 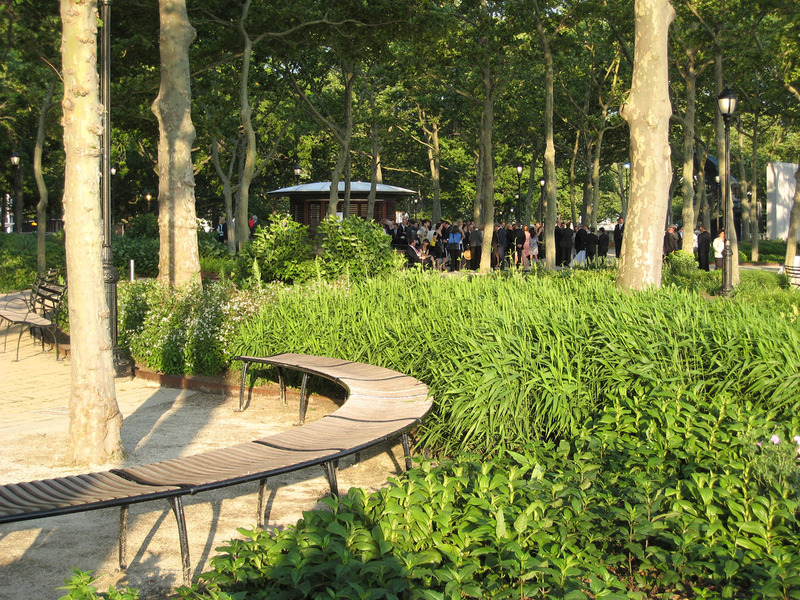 Composed of two acres of garden “rooms” beneath a grid of existing London Plane trees, the Bosque integrates two distinct networks of circulation: broad, efficient paths to and from the Liberty Island ferries, and narrower, more winding paths for solitary rambles through the seaside gardens. 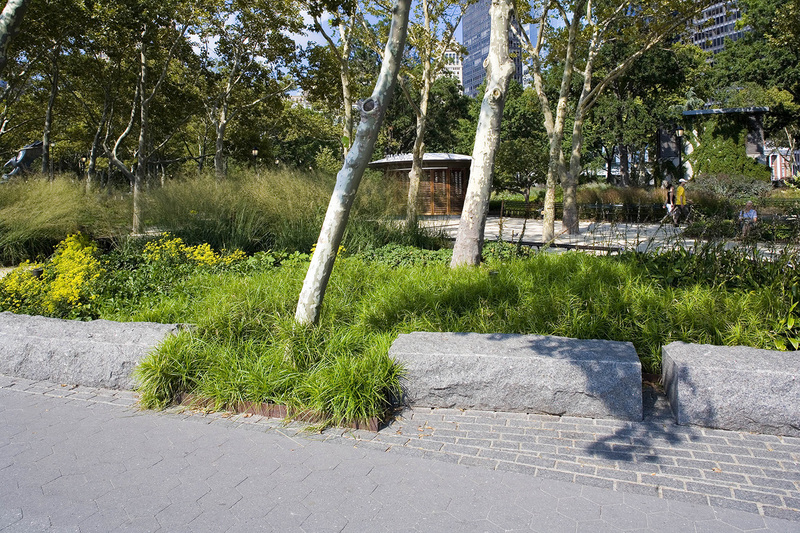 Embedded in this path and planting matrix are custom food kiosks with seating, a Spiral Fountain popular with children, and the Gardens of Remembrance designed by Piet Oudolf, all built over a dense network of subterranean utilities and transportation infrastructure. 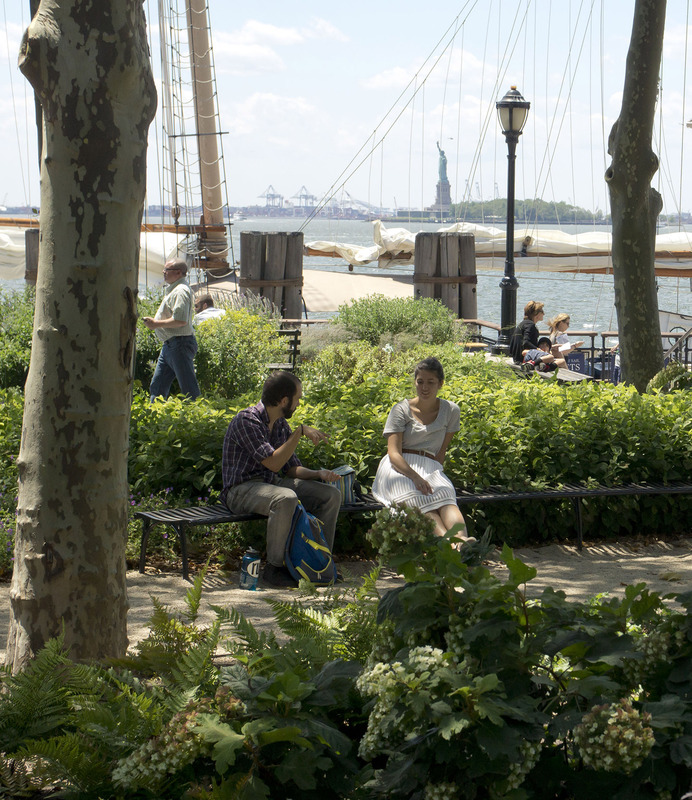 These spaces create a diverse environment where people can eat, gather, chat, and sit in quiet contemplation—a key part of the city’s effort to infuse downtown with a creative climate to suit the 24/7 live and work community. 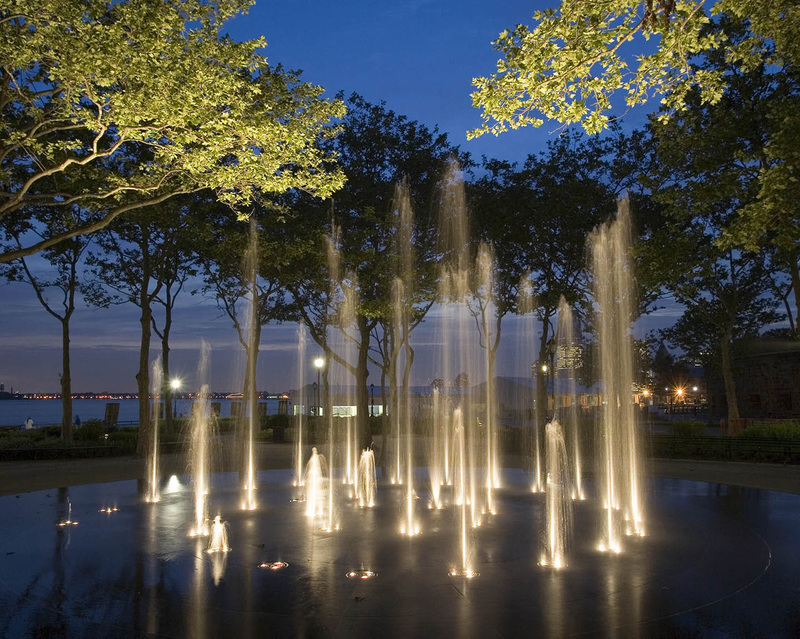 Laura Starr organized the design and building of the project, overseeing a multidisciplinary team of architects, engineers, lighting designers, and renowned architects Weisz + Yoes.